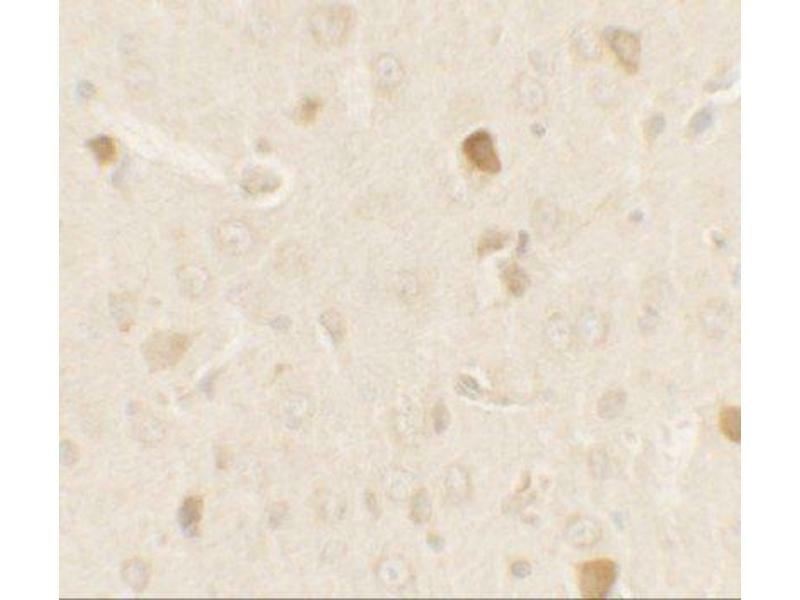 Immunohistochemistry: PRAS40 Antibody [NBP2-41221] - Immunohistochemistry of AKT1S1 in rat brain tissue with AKT1S1 antibody at 2.5 ug/ml. 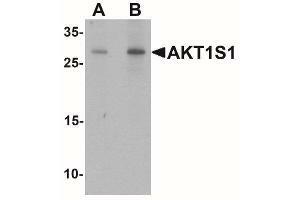 Western Blot: PRAS40 Antibody [NBP2-41221] - Western blot analysis of AKT1S1 in human brain tissue lysate with AKT1S1 antibody at (A) 1 and (B) 2 ug/mL. 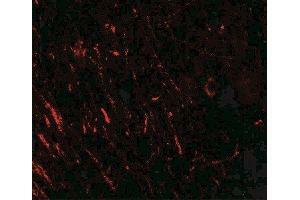 Immunofluorescence: PRAS40 Antibody [NBP2-41221] - PRAS40 in rat brain tissue with PRAS 40 antibody at 20 ug/ml. 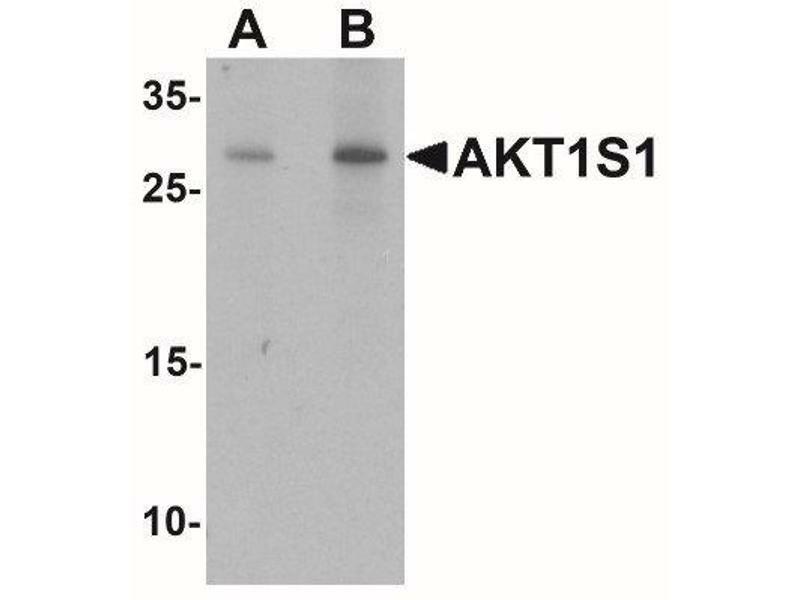 Specificité AKT1S1 antibody is human, mouse and rat reactive. At least three isoforms of AKT1S1 are known to exist. 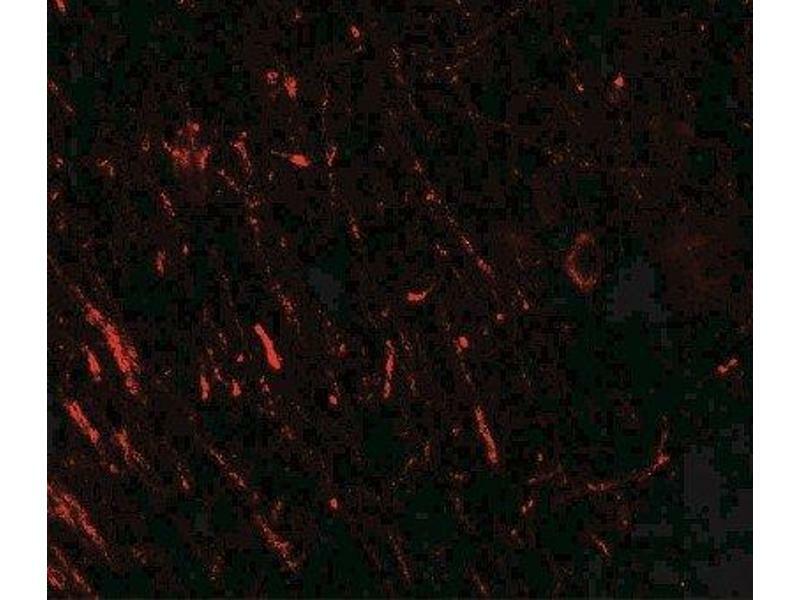 Immunogène Antibody was raised against a 19 amino acid peptide near the carboxy terminus of human AKT1S1. 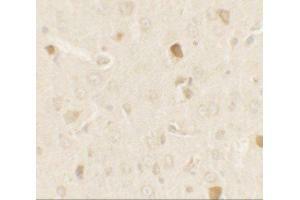 The immunogen is located within amino acids 190 - 240 of AKT1S1.